It’s a story you’re probably familiar with: a few decades ago, a town in Indiana played host to top-secret, government-run experiments on human beings. These experiments were particularly geared toward the human mind—how to control it, and how to tap into its unexplored potential. This is the plot of the Netflix original hit series Stranger Things. But it’s also something that happened in real life. Beginning in the early 1950s and lasting up until the 1970s, the CIA ran Project MKUltra, “a program of experiments on human subjects, at times illegal…with research undertaken at 80 institutions, including 44 colleges and universities, as well as hospitals, prisons, and pharmaceutical companies," according to Wikipedia. Though available information on the full scope of MKUltra is limited, lists of the participating institutions still exist, and, according to those lists, Indiana University (listed as “University of Indiana”) was one of the universities that conducted research for the project. According to Wikipedia, “MKUltra used numerous methodologies to manipulate people’s mental states and alter brain functions, including the surreptitious administration of drugs (especially LSD) and other chemicals, hypnosis, sensory deprivation, isolation and verbal abuse, as well as other forms of psychological torture." 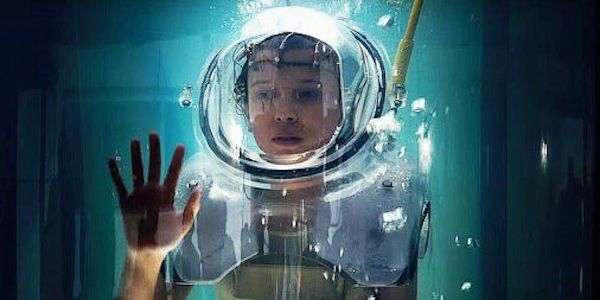 Eleven, one of the protagonists of Stranger Things, is subjected to strikingly similar experiments at Hawkins Lab—she is often isolated in a cold, barren cell, and she is forced to enter sensory deprivation tanks in order to fully explore her psychic abilities. 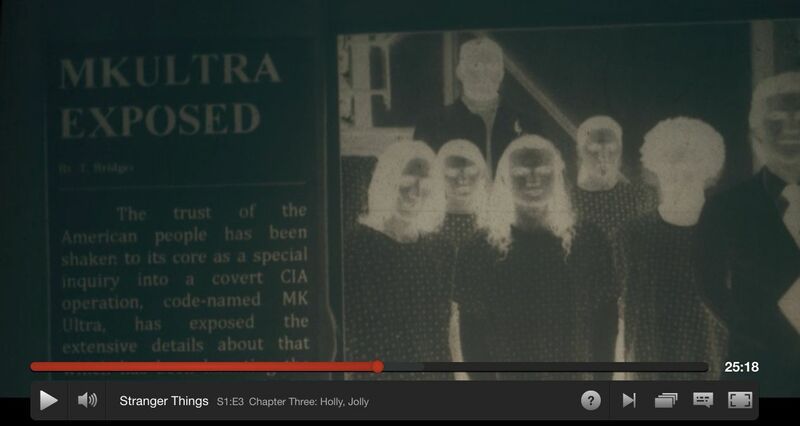 Unlike Eleven, who was held in the captivity of Hawkins Lab since birth, many participants in MKUltra were volunteers, individuals who entered the program to earn extra money. In numerous cases, the CIA funded research at institutions indirectly, so these participants often had no idea that they were dealing with the federal government. [Becky] She was a part of some study in college. [Becky] Yeah, that's the one. [exhales] Was, uh, started in the '50s. By the time Terry got involved, it was supposed to be ramping down, but the drugs just got crazier. Messed her up good. [Hopper] This was the CIA that ran this? [Becky] You and Terry would've gotten along. "The Man," with a big capital "M." [sighing] They'd pay, you know, a couple hundred bucks to people like my sister, give 'em drugs, psychedelics. LSD, mostly. And then they'd strip her naked and put her in these isolation tanks. [Becky] Yeah. These big bathtubs, basically, filled with salt water so you can float around in there. You lose any sense of, uh, sense and feel nothing, see nothing. They wanted to expand the boundaries of the mind. Real hippie crap. I mean, it's not like they were forcing her to do any of this stuff. Unfortunately, Ives’ experiences weren’t entirely fictional; many victims of the MKUltra experiments have since spoken out about their own horrific experiences. “… I was tested, trained, and used in various ways. All the programming that was done to me by the CIA was to split my personality [Rutz suffers from Dissociative Identity Disorder], making me a compliant slave. It was trauma-based, using things like electroshock, sensory deprivation, and drugs. Later the trauma wasn't necessary, only hypnosis accomplished with implanted triggers and occasional tune-ups that took place at Wright Patterson Air Force Base not far from my home. I became a human experiment– part of their search for a way to take control of a man’s mind. During the course of these experiments they created alters to do their bidding– Manchurian Candidates is an appropriate term. As most of the documents detailing MKUltra were destroyed, not much information regarding Indiana University’s specific involvement in the project is accessible. However, there has been no ready denial on IU’s part of their participation in the program—in fact, the university has had a few instances of open discussion on this disturbing chapter of American history. 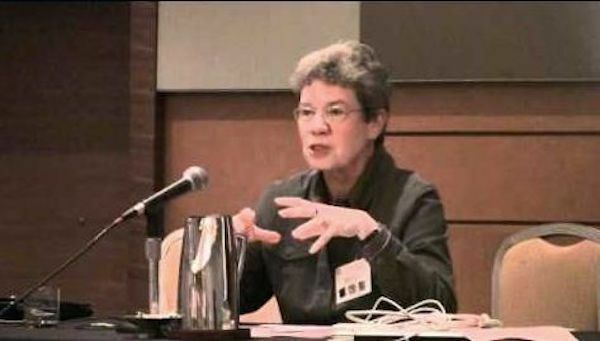 In addition to hosting Carol Rutz in 2003, the Indiana University Center for Bioethics did a segment on the podcast “Sound Medicine” in June 2008 regarding the use of electroconvulsive therapy (ECT) in MKUltra. In 1965, IU School of Medicine professor Dr. Steven Jay witnessed “the use of high-powered ECT treatments with mentally ill, anxious, and depressed patients” as part of the project at McGill University under the jurisdiction of Donald Ewen Cameron. During the podcast segment, Dr. Jay discussed how Cameron’s actions showed blatant disregard for the “well-established principles of human experimentation” coming from the Nuremberg Code of 1947 and, while attempting to work toward an important intelligence-related goal, utterly neglected all human rights of the experiment participants. While Stranger Things is a cult classic that gives us the temporary escape from reality, it's important to recognize that there's some level of truth behind the experiments performed in Hawking Lab. In order to prevent history from repeating itself in the real world, we must venture into our own version of the Upside Down, the dark, seedy underbelly of the American past, and keep the gate of conversation open.